I recently was asked to do a small guest piece on a TV show (and I can’t mention what it is but will let you know when I can and when it will be aired). It sounded like fun and right up my 1940s’s street! Initially my thoughts were NO, I just can’t do it and tried to find someone else that would be suitable but when they couldn’t do it either I thought WHAT THE HELL ARE YOU DOING! If I never try I’m never going to have fun things to remember and even if things go horribly wrong it’s not the end of the world, at least I tried and it’s another step forward. So I said I would and on Thursday, with Jess my daughter for company, drove a several hour round journey to a destination I had never been too before and despite being very nervous had a lovely day doing something I am passionate about. Here’s a photo taken on Thursday and I feel my eyes are bright and alive, I’m excited and happy. Although I have lost 95lbs from my heaviest and am only 1/2 way through my weight loss journey, the loss so far has had a profound and positive psychological effect on my life. I wish I could share how wonderful I now feel on some days, a far cry from the torment inside from my heaviest weight. I have lost over 100 pounds and I can tell you it has made such a difference in my life. I now wear shorts in public for the first time in 30 years. I too stayed in the background thinking that when I was thin I would do the things I wanted. Life is too short. Do it now! You never know if you are going to have the chance again. You look wonderful, keep it up, the health and emotional benefits of weight loss are amazing. 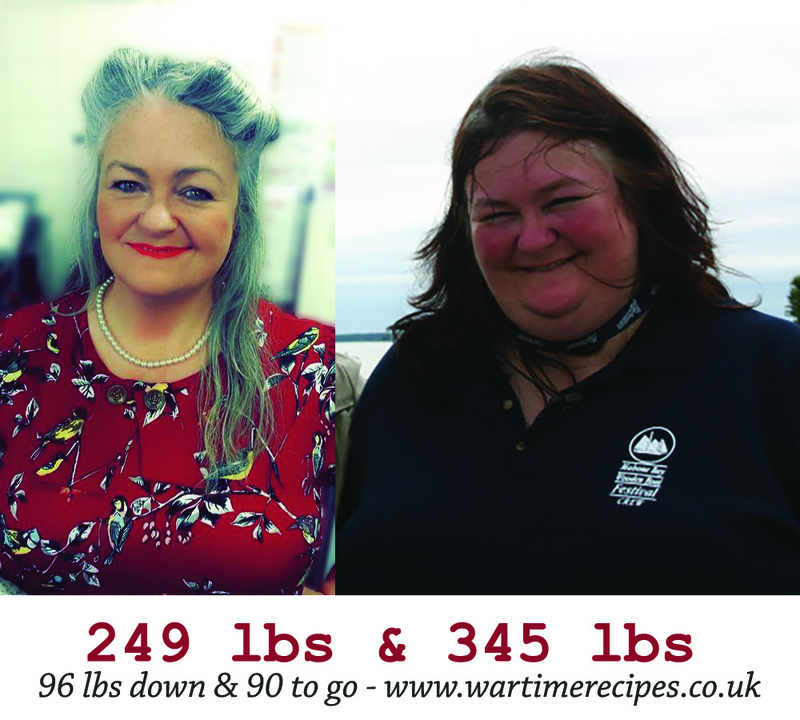 Wow – what a difference! You are really an inspiration and I admire your tenacity. Keep up the wonderful work and enjoy yourself along the way!! I meant FOR you. I’m so French sometimes ! Carolyn, you look Absolutely Fabulous! Well done girl, You CAN do it! I am so proud of you and your weight loss. You look fabulous and your smile is beautiful !! Confidence radiates from within you. You are a great example and have given me great courage to lose my pounds and get with it.